105 sq. 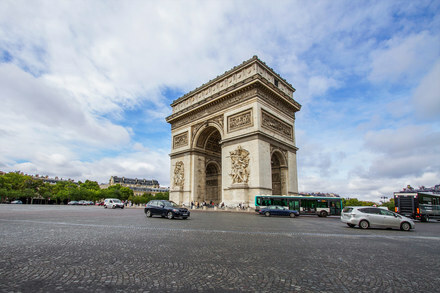 m. furnished apartment on Square Villaret de Joyeuse in the Champs Elysées district of the 17th arrondissement - Paris. Two bedrooms, living room, dining room, separate kitchen, two bathrooms and separate toilet. Internet access. Heating by collective fuel heaters. The property is currently available.